My original plan was to fly to Seoul and spent around 2 weeks there but later on I decided to head out to Japan for at least a few days and it was a good thing too. A Korean friend told me that she won't be around during that period so that made my decision to head out to Japan a much easier one. 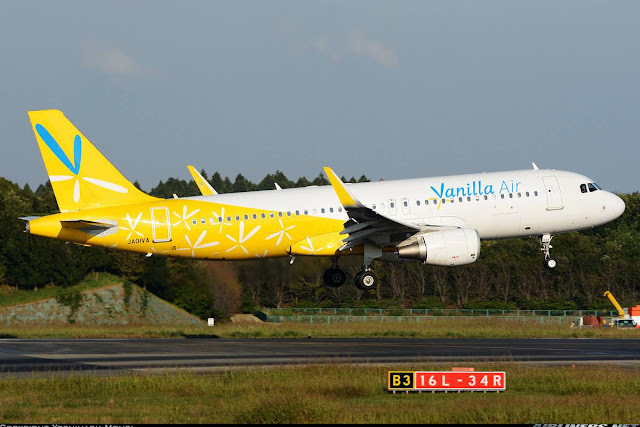 Originally I wanted to book with Vanilla Air on Seoul to Tokyo sector but later on, I noticed that Jeju Air was flying on this route and instead I decided to fly on Jeju on this sector and then with Vanilla Air on Tokyo to Sapporo instead. Stop over at Narita for half a day for spotting and then off to Sapporo in the evening sounds great to me. Only bad thing was getting up very early in the morning on that day to catch the 0830 flight on Jeju air to Narita, reaching there at 1050 hours. Flying with Vanilla Air was immediately in my mind after I decided to go to Tokyo, I wanted to fly on this airline, well quite badly! Even though its operating a common aircraft type, the A320, I wanted to experience for myself and do some comparison between this airline and Peach. ANA is also operating Peach Aviation which is based at Osaka, so it makes sense that Vanilla Air continues operation at Tokyo Narita, so that both airlines won't compete with one another. On 20th December 2013, this airline began operating on its very first route, Narita to Okinawa. Vanilla Air's website comes in 4 languages: Japanese, Korean, Traditional Chinese and English. The destination it goes, requires these languages. Its a simple website with all the important information on the main page, booking my flight was simple with no complications at all. The information about the type of fares and conditions are stated clearly on the site so you can't missed it. What I like about this airline is that the 20KG luggage allowance is already included in either the "inclusive" or "simple" options, of course the campaign is the cheapest and is suitable for flyers that has no luggage to check in and dates and time of flights that are not so important to them. The only problem I had was checking in, this option is for only domestic flights (strange to me), but on the day before my flight, I kept trying to do the online check-in, it didn't work for me. I chose the 'simple' option as it was about 2500 Yen cheaper than the 'inclusive' option. The ticket altogether cost me 7000 Yen including the selection of seat and tax. The selection of the normal seat cost me 300 Yen, chose 27A initially but later on I changed it to 21F. There were 4 flights on this route! Which flight did I picked? I decided on JW911, the last flight for the day. Thanks to flightradar24, I was able to check which flights the A320 with sharklets were operating on most of the time and it was JW911 but I had to keep my fingers crossed as the old A320s also operated on this flight on certain days. 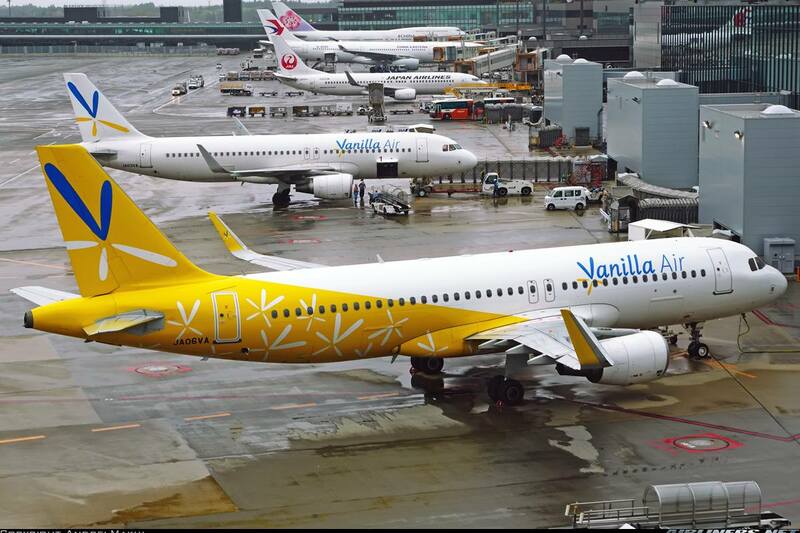 At that time, the airline was only operating 5 aircraft and JA01VA was the only one in the actual airline's livery. At that time, Vanilla operated 2 leased Airbus A320 from ANA. Those 2 have since been retired in favour of newer Airbus A320 delivered directly from the aircraft manufacturer. Do take note that the newer aircraft: JA01VA- JA03VA have a configuration of 180 Y class seats whilst the other two ex-ANA aircraft have only 166 seats and from what my friend who flew on one, told me that the legroom space was much better. So its not a bad thing to fly on the old A320s. This was where my departure gate was! Very basic looking departure hall catered only for this airline. Some interesting info about the destinations that the airline is flying to! The check-in procedure went very smoothly, the English by the staff was understandable and it didn't take long for my turn and my check in was completed within minutes. I was disappointed to receive the boarding pass (supermarket receipt), it looked so dull especially for my collection. Anyway, it wasn't long before the announcement was made. Unfortunately, the announcement was only in Japanese but seeing the passengers forming a line, I did the same. Vanilla Air's aircraft are parked at a location away from the airport terminal which means the only way to get there is by bus. At that time, there were 3 aircraft parked there. JA8391, JA01VA and JA03VA! Since this was the airline's home base, there was no way to find out from flightradar24 which aircraft was scheduled to operate my flight, so I had to keep my fingers cross! The bus took us about 5 minutes to reach the parking lots for the airline's aircraft. It was a moment of truth for me as the bus approached the first aircraft (JA8391) and luckily for me, it went passed it it and we stopped in front of JA01VA to my delight! I was probably the only one smiling from mouth to mouth! I can't describe to you readers how happy I was to have gotten that aircraft! It was not only another special livery aircraft for my flight logbook, the first A320 with sharklets for me as well! Once on board, I was greeted by the friendly Vanilla crew! The uniform on them looks very nice. I noticed the black leather seats, very commonly used by Low Cost Carriers and of course the seat pitch looked very tight and I can confirmed after sitting down. Here are some of the photos! My seat at 21F, can you see how tight it is? I won't say its exactly comfortable, pretty tight seat pitch and the leather seat especially for my back was still bearable. However, if you ask me to fly on this for more than 3 hours, no way! I will, at the most choose the emergency row. The flight was about 50% full looking around me and there were many empty seats behind, was glad that aircraft was not changed to the older aircraft (it has lesser seats), perhaps the return load was better. Anyway, the aircraft pushed back on time and we taxied quickly to runway 16L for departure. We were the only one at the taxi way as most traffic were using 16R for departure. 16L on that day was used mainly for landing. We waited at the threshold for an aircraft to land before taking off. The food menu on board, unfortunately the cooked food was not available, so I chose the next popular meal, the sandwhich on the bottom right of the photo below. Unfortunately, the airline didn't sell polo-T shirt of the airline, something I had started collecting not too long ago. The sandwich is very tasty and it goes well with the drink. I would give this a rating of 8/10. I think being hungry at that time was a factor. My In-flight entertainment! Who needs the actual IFE for such a short flight? The take-off was quite bumpy but nothing bad! Do enjoy the video of the excellent view of NRT airport. Glad to have sat at the right side. The sharklet looks so nice! Very relieved to be on board JA01VA! The ride to Sapporo was slightly bumpy but we had a smooth landing at Sapporo Airport. The rest of the flight was uneventful. The in-flight service was not bad, but certainly not as good as Peach's. They did came about to check on us through out the flights, pretty reserved but professional. Overall, my flight experience with this airline was a positive one, but nothing much to shout about. Just an airline that takes you from once place to another. Somehow I feel, is there really a need for 2 Low Cost Carriers under ANA? It would be better for Peach Aviation to take over Air Asia Japan instead of creating a new one. I hope to get an answer of this one day. If I do, I will post it here. This airline offers cheap air fare both domestic and international flights and do I recommend it? Yes I do! Do try the in-flight meal, at least the one I had was quite delicious and the price of it is quite reasonable. The crew speak good English and you shouldn't have any problems on board. Currently, its network is small but as more aircraft join the fleet, the airline has plans to fly to other cities. 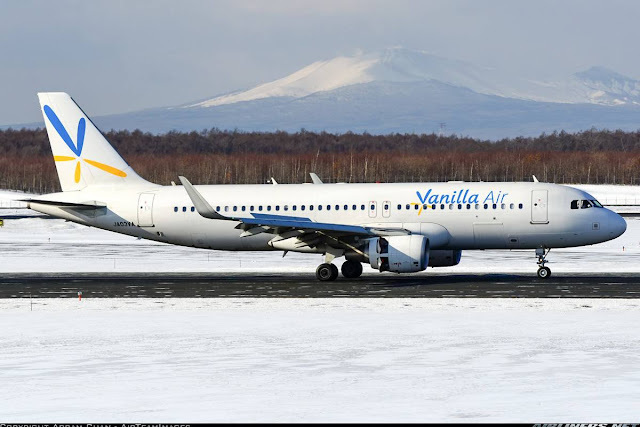 The bad side is if you want to fly from Seoul to Sapporo on 2 Vanilla flights, you have to book them separately and even if you missed the 2nd flight, the airline would not compensate you, this applies to Peach as well. Thank you for reading this trip report, hope you find the information useful and this blog entry will be updated accordingly. Stay tuned for my next trip report! Thank you for this report on your experience with Vanilla Air. 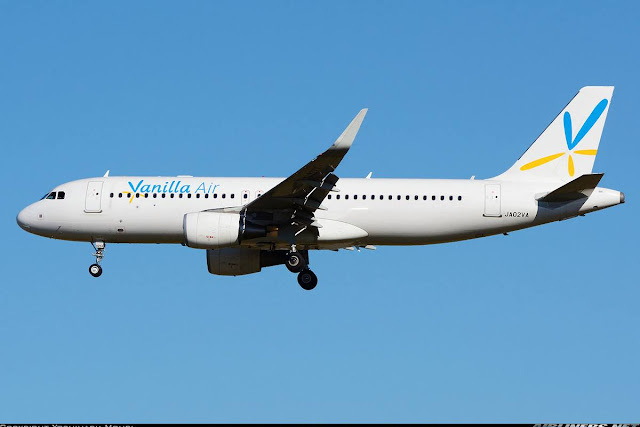 I would like to point out to you and your readers that there is a problem with Vanilla Air's booking system that costs many people their flights, time and hundreds of dollars. 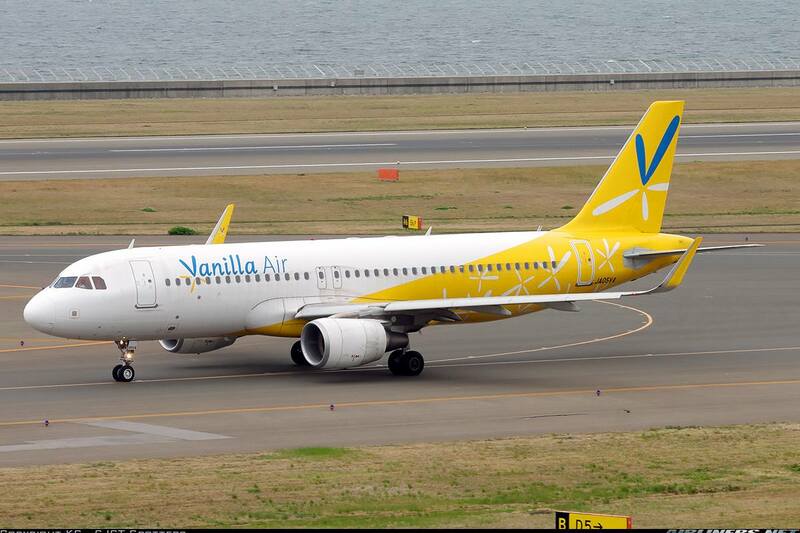 At the time of booking Vanilla Air don't confirm the passenger name, only the flight time. They are the only airline I've ever seen which do this. And for some reason names are truncated to initials (maybe to do with their system rejecting auto-fill), and long Western names are too long for the email confirmation. So many people show up at the airport to find that their ticket is invalid, and they can't get a refund or anything. This problem affects many, many passengers. Just Google "Vanilla Air Scam" or similar and you'll see what it's about. 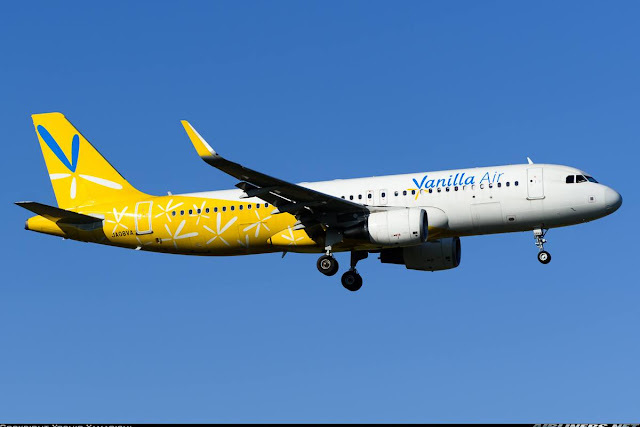 I haven't heard of this problem with Vanilla Air so far especially from my Japanese friends who fly with this carrier regularly. I had no such problem when I made the booking, so can't agree with you there but that was last year, whether there is an issue with the booking system now, I have no idea. Did you give a call to the airline after your booking? I misspelt my name when I booked with Peach Aviation and after calling them, they changed it for me without a fee. Usually, if I have doubts, I will contact the airline immediately and not wait until checking in at the airport. The airport staff has a protocol to follow and I can't blame them for it.